When my wife and I were doing the Aussie-in-London thing (which was accompanied by the happy-to-sleep-on-floors thing, the ability-to-drink-six-pints-thing, the getting-way-too-much-into-East-Enders-thing and lastly, the arriving-home-much-fatter-than-when-you-left thing) a close friend of ours who we happened to be living with at the time gave us some simple advice. She said, “Packing to travel is easy. As long as you have your credit card and passport you will be fine.” It became a mantra for us. The night before we left to catch our £5 flight to somewhere with different beer and cider than we were drinking in London, when either one of us started to stress about if we had packed enough stuff we’d simply remind ourselves that we had probably already packed 3 times as much clothing as we needed to and would be fine with our “credit cards and passports”. For the last three weeks the Illiterate household has been moving. Obviously the actual move was only 1 day of these three weeks (when disconcertingly strong, muscular and attractive men shifted our belongings to the new illiterate abode). Sure there’s been a bit of time spent up fixing up the old house ready for sale and getting the new one ready to move in to but the thing I wasn’t expecting was the amount of time and effort that we expended packing up all our stuff and then unpacking and trying to find space for it at the other end. Ok, I knew we had some stuff but seriously – a whole truck!!! The most annoying, frustrating, surprising thing has been how little of it is mine. Sure there are guitars and computer stuff and clothes and CD’s, the same for my wife (with a few shoe boxes thrown in) but we now seem to own an enormous amount of things designed for “little people”. We’ve got the standard stuff like cots and change tables and other baby furniture but there’s also the stuff that was hiding away like the clothes packaged up by month of age, toys boxed up by developmental stage and enough Tupperware to keep a cruise ship in fresh supplies for a month. Then there’s the bottle steamer, porta-cot, expensive grey box to go on the top of the car (to fill with more stuff) scooter, push bikes, second cot for new baby due next year, plastic toy kitchen, baby gates… and so it continues. It was about 3pm on moving day as I surveyed my new kitchen, crammed with boxes all marked kitchen that I realised that we would need to bring so much more than a method of payment and travel documents with us to do anything now. We now have so much stuff that the next morning my 2.5yr old daughter was getting upset because she could here us but not find us in amongst the maze of boxes, paper and bubble wrap. So is it kids, maturity, wealth (everything is relative) or an obsession with any gadget that makes parenting young children easier that has put my wife and I so far from that young couple with the ability to drop everything and travel anywhere? To have all our worldly possessions take up a small wardrobe in a London share house (and be happy about it)? The ability to handle anything with… a credit card and a passport? So my question for you, the reader who is more than likely in a similar family demographic to me (ie with child, children or lots of children) is; could you survive with just a credit card and passports? If so where would you go? Would you struggle to get an hour from home or is travel by the “seat of your pants” second nature to you? And lastly (just out of interest) the overly attractive fella that moved us from old to new house said everyone has the same amount of stuff that fills a truck – would your life fit in one? 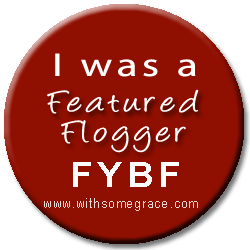 Glad to be moved in boxes-and-all, back in the blogosphere and sharing with Diary of a SAHM for IBOT. This entry was posted in Being a Dad, fatherhood. Bookmark the permalink. Hi Emma and thanks for popping by. Sounds like you and I are not alone. Fortunately thats still my mantra – BUT – I can only assume when the time comes where I have little ones and my Fiance (i assume husband by then) will need more like 10 trucks to move our stuff… Of that I have no doubt! Hi Meagan, we are as settled as we can be in our little house. I love my passport, and I love that my child is on his second passport at 8 and has visited about 10 countries already, but I do not travel lightly. I didn’t do the backpacking thing because my then-long term boyfriend didn’t want to travel, so I didn’t really travel until I was married (went to Africa on our honeymoon – three countries right there). I like stuff and hot water and gHDs and options! If it was just me, travel with passport and credit card sounds perfect …with all the kidlets in tow, I can’t imagine how we’d survive…would need bottles, nappies, dolly and a million other things! … change mat, wipes, dolly, teddy, snacks… yes another million other things at least! I’m slightly concerned that we would need two trucks. We did once get ready for a camping trip in an hour. But we only went for one night, and we pretty much had everything already ready in the camper trailer. Does that count? I have moved a ridiculous amount of times. Not with a child yet though. We moved a week before he was born and I hope to not move again for at LEAST 5 years because I am terrified of the excessive amount of stuff we have acquired already, and he isn’t even a year old! We moved 6 weeks before our little girl was born so the scary thing is that most of the stuff I was seeing last week has been accumalted in the last two years. 5 years sounds like a good enough time to wait! Thanks for popping by and good luck in your move. “Go back to your backpack” could be a name for a new reality show! Congrats on the big move… packing to go away for a single night is a big effort when you have children let alone moving house! congrats on the move! I miss my london days… totally miss rocking up somewhere and only needing the bare essentials!!! A credit card and a passport, we could still do that – especially now our son is almost 3 and almost nappy free. Gosh I miss living in the UK, we came home when I was pregnant after nearly six years there and everything we owned fit into a 1m cube. We have accumulated so much stuff in the three years since. Not stuff for me or hubby of course, but all the paraphernalia associated with having a child… and toys, lots and lots of toys. Sometimes I think that most “stuff” is essentially unnecessary, and we’ve proven this by travelling with the bare essentials, not even bothering to take a portacot. But then on some occasions we’ve traveled light and been struck down by certain disaster, like that time our #2 son had a severe asthma attack and we hadn’t packed the usual bag of “just in case” medications. Won’t make that mistake again. I think most of the toys for kids are a waste of money, they learn far more from human interaction and from experiencing the great outdoors. I feel like I’m rambling, but what I want to say is that I’m a bare minimum person, I don’t like to have too much “stuff”, and yet I promise you our house wouldn’t fit into one truckload. When we moved to our second home in 2010 it took 2 loads and we have accumulated more furniture since then! I’m with you on the unneccessary bit. I think we’ve realised that we just need to get a bit more “bare essentials”. I so so so relate. We moved house about 6 months ago and it was hell. I think that the baby/toddler belongings took up more room in the truck than the furniture did! When I travelled round the world I did so with a 12kg back pack. I don’t think I could get away with that for a trip to the park these days!! Great post! We are slowly coming round to the less is more approach to parenting, the more toys, snacks, clothes, etc Max has, the more he wants and the more he lets us know he wants! We’ve had a clear out and gone ‘back to basics’. We’re even going camping next week and if that doesn’t serve up some blogging opportunities (because thats all I think about these days) then I don’t know what will. Keep up the great work. oh my, I wish a credit card and passports would be enough!! we would need four trucks – one for the each of us I think…. credit card & passport, I am hoping we can still do it. We are planning a six week drive around the US early next year and will be taking our then 2.5 year old and 10 month old with us. Whenever I tell people they give me a shocked and slightly terrified look. I know we will need more stuff then when we travelled as a loved up childless couple but I am happy to load myself up like a packhorse and just go. Well done on having the gut to have a go. I’d be interested to see how you go as a travelling team. We have done 2 reno’s in the last 5 years and both times when we move our stuff back in after a massive cull I swore I wouldn’t acquire extra “stuff” again! But with 5 kids it is proving inevitable. I like the idea of a passport and a credit card but possibly ain’t gonna happen with or without kids! Oh my how I can relate… Having just moved from the country to suburbia, in the distance of packing, culling, sorting, chucking I seriously considered walking away from it all!… But then I think e kids would have noticed and come looking for me!! We have a lot of stuff, most of it books (me) and old footy magazines (Dave). 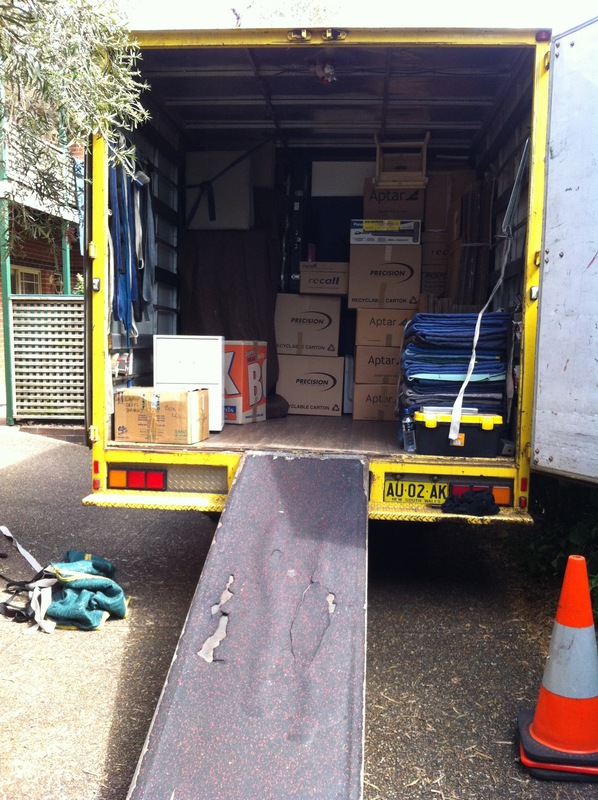 When we forst moved in to our house it took a van, two carloads and a ute-load to get everything in. I never want to move from this house because I have a feeling it would take more than even two trucks, such is the amount of stuff Dave and I have. We are not quite hoarders but we do have a lot of absolute crap that we don’t really need. We got rid of a lot in preparation for Mia coming along but we just replaced that with stuff for her so our house is still full of crap. We probably could just travel with credit card and passport if we had to but it would just put us in to mega debt to do it! We’re totally in the same boat! We moved to The Netherlands 3 months after getting married with a couple of boxes. We returned 7 years later with half a container load, which was mainly music instruments, as we left all our furniture behind, and a bunch of things for our then 10 month old. 7 years after that we moved across the country with 1 1/2 container loads and 3 kids. We’ve been renting here in Brisbane for two years so I know I need to be ready to move somewhere in the next 12 months. My husband and I have dreams of spending time back in Europe when the kids are older, just the two of us. We’ll see what happens! Wow I can really relate to this post! My husband and I moved back to Brisbane from London a few years back with a 9 month old as carry-on luggage. We left for our beer drinking odyssey with a backpack each, thinking we’d return with slightly bigger backpacks (plus that ‘Heathrow injection’ of a few extra kilos) and instead found ourselves in a new life with gadgets and gizmos and nappies and sterilisers and .. you know the drill. What a change of pace! I hope that when our little family (of 3 kids now) are older we can all grab our passports and credit cards and head off on a few adventures. It seems a long way away right now though! Hi there and thanks for popping by. Three kids – well done. Nearly as “well done” as getting a 9 month old home on a plane from the UK! !